I stumbled onto the Eye Swim last week and thought it looked like a cool product. Basically it is a type of underwater camera mount that you can set up on the pool deck that allows you to shoot underwater video of yourself. The Eye Swim is priced at just under $80, which seems a bit steep to me. 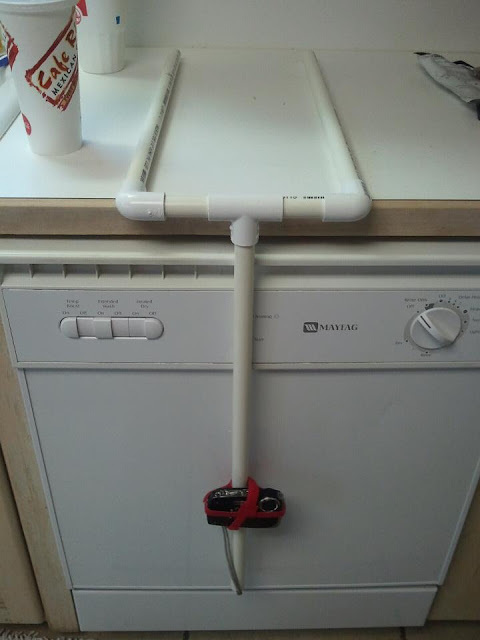 I decided to make my own using PVC pipe and did it for just under $10. It actually would have been a lot less, but I bought a package of Velcro straps to hold the camera on and keep the pieces together when disassembled. A couple rubber bands would work just as well. And here is the video I shot with it this morning (it would look much better in a pool with better lighting...). I already see some things that I need to correct.